Edgewerks provides a level of service you never knew existed. Rent from our fleet of Head Skis, Boots, Poles and you will receive complimentary storage and tuning. Brand New 2019 Equipment. Head Skis, Poles, Boots, and Helmets. Ask about our performance ski upgrade options, in store only. We know how valuable your time is, especially on a powder day! 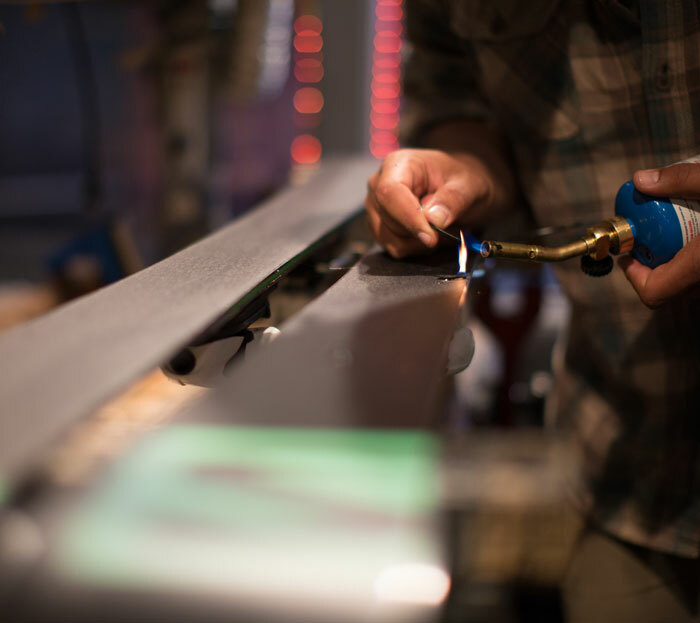 We insure our rental skis are tuned overnight and ready for you each morning. Leave your skis overnight on the mountain and keep your boots dried and toasty warm with our complimentary storage. Edgewerks uses Swiss made Montana Machines, precise robotic equipment that insures our Factory Perfect Tunes. Our lead ski techs have been been in the business for nearly 20 years and are among the most trusted experienced ski techs in Steamboat Springs.